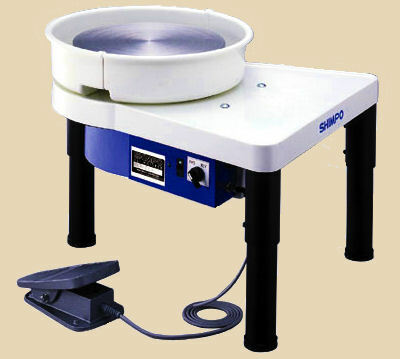 Shimpo Ceramics manufactures and distributes ceramic equipment for ceramic artists, teachers, students and businesses across the world. Shimpo equipment is well-known for reliability and durability, and for the creative innovations that are integral parts of their design. 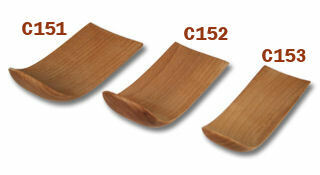 Shimpo banding wheels are designed to give reliable, smooth rotation at any speed for even the most delicate projects. Four models offer a selection of heights & diameters. The RK-Whisper wheel is responsive, high torque at all speeds, powerful and very quiet. 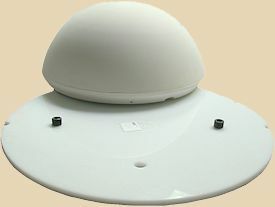 The exterior of the RK-Whisper resembles the RK-10, but that’s where the similarities end! 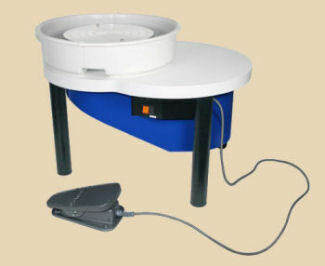 This wheel features a brushless DC motor and direct drive (no belt) system. 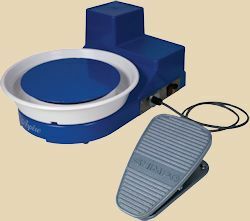 The motor is electronically controlled and operated by a fixed foot pedal and hand lever. It’s reversible, and the steel body is durable under all conditions. 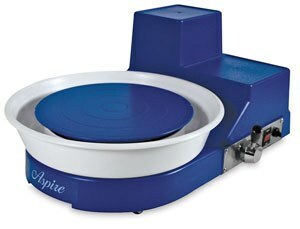 A 12” wheel-head & two-piece splash pan included as standard feature plus a 5 year warranty! A Truly en-Lite-tening Potter's Wheel! SHIMPO's Aspire tabletop potter's wheel can handle your most creative challenges. Its lightweight, compact design makes it easily portable; and yet its 20-lb centering capacity makes it a permanent addition to any studio or classroom. Your "Aspirations" are its only limit! at only 25 pounds, it is light enough to ship by UPS but it's not a toy! 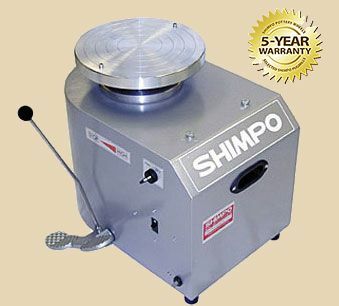 SHIMPO's heavy-duty Slab Roller can produce up to a 3" thick slab. 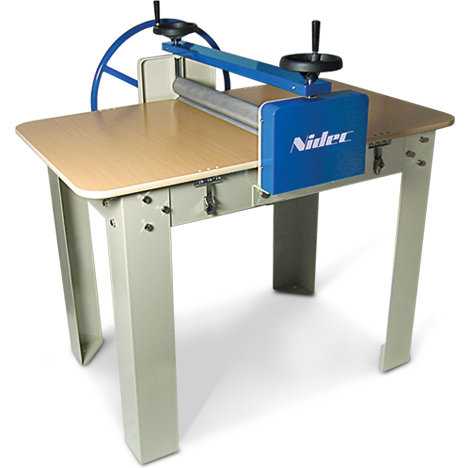 A two-roller system evenly distributes pressure on the slab to reduce warping. The dual-hand wheels and thickness indicator provide synchronized fine adjustment and allow for precise control of the slab thickness. This Slab Roller also includes a wagon wheel handle that provides effortless feeding of slab through rollers in either direction. It features a large 30" x 50" table for plenty of workspace and comes with one canvas set plus a one-year warranty to complete the package. 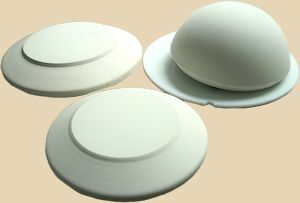 Click this image to go directly to our shopping page for Shimpo throwing tools.